A best Indian tourist place Kudajadri is available for you also known as Kodachadri. This tourism spot is a secret hill station of Karnataka State popular for amazing beauty and natural scenery. Kudajadri is a different place than other hill stations of India. The beautiful mountains and bigger hills with lots of lakes can be amazing and different experience of life. 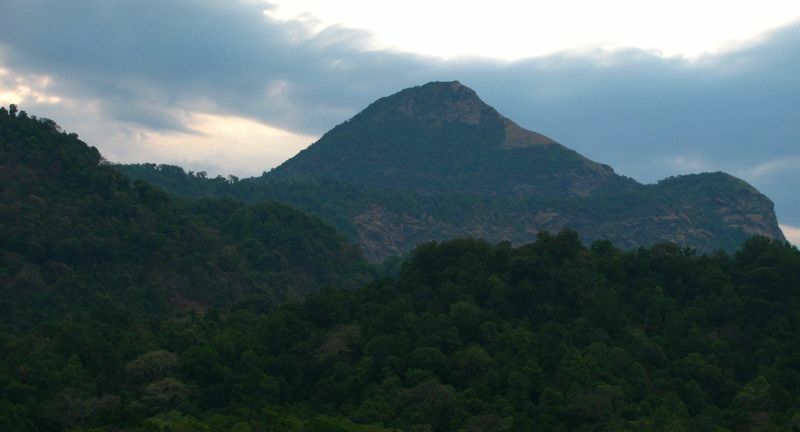 This hill area is situated at Karnataka and easily reachable through road. For accommodation there are hotels and resorts available, though online booking is available with limited hotels in Kudajadri. As this place is not much known to the people so the attraction points are not described properly under. However, after a long research some of the key destinations are mentioned below where travelers can visit and make their holiday special. Indian tourist place Kudajadri. Kudajadri town is 500 kms away from big city Bangalore. People who love to visit adventurous places can plan their trip to this location. Rainy season is best period to reach the spot because the surrounding area converts into greenery high hills and beautiful valleys. The finest part of this town is you will get countless wonder natural beauty sceneries during the journey to Kudajadri. Roads are full of dangerous curve and surrounding is green from every corner. Pollution and noise troubles are almost zero here and tourist also visit in limited volume. Overall this place is interesting with no disturbance of pollutions and visitors. This place is famous for its peak areas with altitude of 1343 meters from the sea level. People believe Kudajadri is the orgin of Devi Mookambika. The famous saint Adi Sankaracharya did deep meditation at this place and got blessings of Devi after long struggle. It’s a religious place where the Sri Sankaracharya idol is placed. It’s a wonder place to visit. Voyagers get chance to visit Chitramoola that is another tourist place of Kudajadri. Chitramoola is the place where Sri Sankaracharya did difficult prayer to impress goddess Mook Ambika. Next place added to attraction list of Kudajadri is MookAmbika temple. According to Indian myth Kauma Sura (also known as Mookasura) impressed the God Shiva and got a boon from him. It got the wish of reigning power and wealth he lost earlier. Kudajadri was the place where all gods hide and protected themselves from Mookasura. The story is really long but the fact is Sankaracharya did prayers of Devi MookAmbika to protect the gods and saints from KaumaSura. She got originated and protect the people from such bad soul. The temple located in the area states complete story of KaumaSura and Devi Ambika. Visitors must attain to the temple located in dense forest area. The best falls of Karnataka are next spot for visitors. You have to travel for around 40 km distance from Hosanagara (another tourist place of Karnataka). You can take the route of Nithur as well to reach these waterfalls. 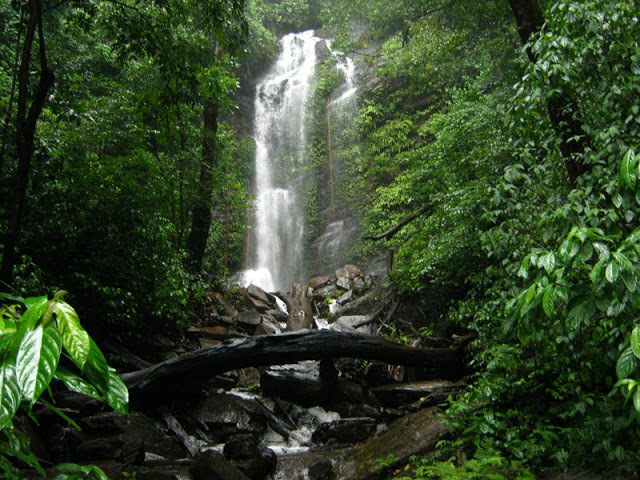 If you are at Kodachadri then you have cover the distance of just 5 kms to reach the waterfall area. Hidlumane Waterfalls is basically a trekking site. his river is originated from Western Ghats and flowing through Kudajadri. 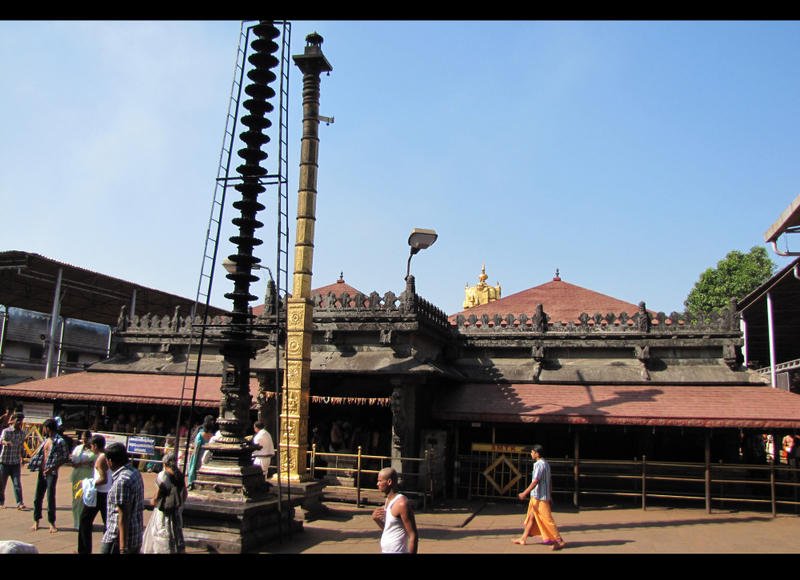 The 40 feet lengthy pillar is planted in front of Devi Mookambika Temple. 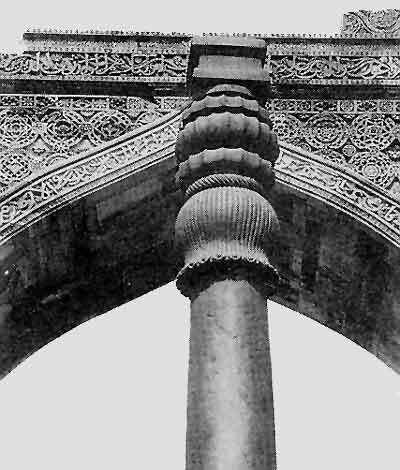 It is similar in looks like pillars at Mount Abu, Dhar and some more places. People believe goddess Ambika used this as Trishul to end the Mookasura to protect the gods. Reach deep forest area to enjoy this amazing natural waterfall. The distance between waterfall and town is only 6 kms. Go to down area of Dhalli village of Kudajadri to enjoy this waterfall properly. Some more attractions of Kudajadri are Belakallu theertha Waterfalls, Nagara Fort, Kudajadri Trekking Route, Mookambika Wildlife Sanctuary, Forest area, wet grassland, forest tea shop, Misty forest, Grassland, Kalabhayrava Temple, Naga Theertham, Kudajadri town view, Guesthouse, Agasthya Theertham, Ganapathi Cave, Sarvatja peetam and Chithramoola Cave. You can enjoy the place with amazing natural spots. If you have planned to attain the town for 2 or 3 days then you have chosen the incorrect period. You must plan for minimum 1 week trip to this amaze place. Nearest big known tourist attraction is Kollur. 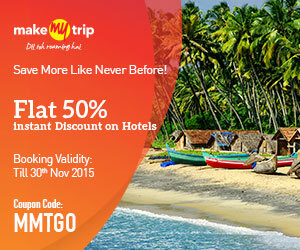 It is also one of the famous hill stations of Karnataka having countless tourist destinations. If you have planned to visit Kudajadri then you must attain to Kollur as well. Indian tourist place Kudajadri. How to reach Kudajadri/ Kodachadri? 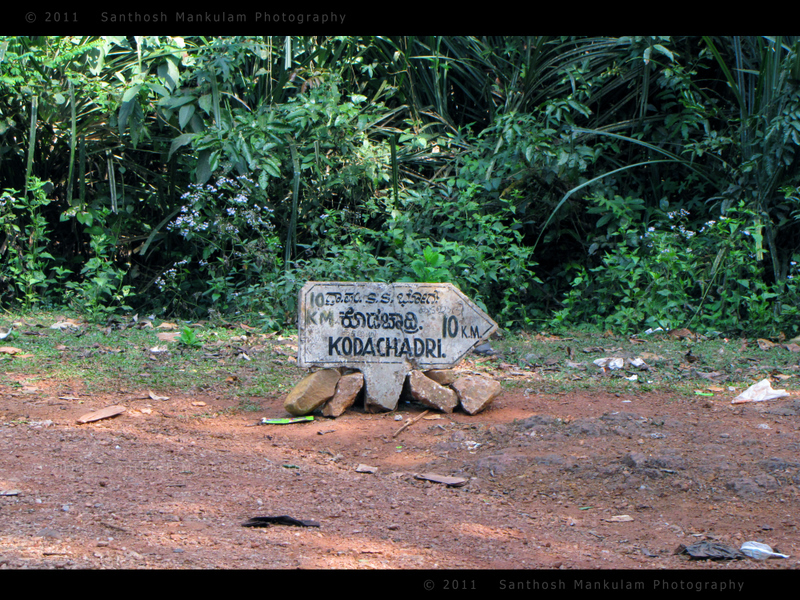 Kollur is the easiest route to reach Kodachadri or Kudajadri. This Indian tourist place is having direct buses from various cities of Karnataka. By Train: Get the train to Shimoga that is a junction located at 285 km distance from destination. Trains for Shimoga are available from Bangalore, Chennai and some more big cities of India. However, once you reach Shimoga you have to get the transport for Nagodi village. Start trekkin of your destination you take help of local transport mode. By Road: Kodachadri hill area is properly connected through road and Karnataka administration is maintaining the routes of such destination. Jeep is the best mode of transport in this region because the route to Kudajadri is full of mud roads because it’s a complete forest area. Jeep drivers are expert so you should hire the jeep. If you try to travel by own vehicles you will get stuck in between the route. Hire the jeeps from Kollur and Kattinahole village. By Air: Closest big airbase is Bangalore and frequent flights are available from different parts of the nation to Bangalore. It’s a international airport so abroad voyagers can also reach to Kudajadri easily.